Abstract: Solid-state lighting is a rapidly advancing technology with potential to provide decisive energy savings and functionality well beyond traditional lighting systems. Already, the efficiency of commercial white LEDs has surpassed that of incandescents and exceeds that of compact fluorescents in particular applications. While research and development efforts are now focused on a US DOE target for system efficiency of ~50%, emerging concepts and device architectures may provide opportunities for realizing even higher efficiencies. In this presentation, I will explore the science challenges of achieving “ultra-efficient” solid-state lighting and will highlight recent advances and concepts for overcoming these challenges at the LED-chip level. Topics will include novel approaches to overcoming InGaN LED “efficiency droop” at high currents, the potential for laser-based lighting, and the critical role that nanostructured emitters may play in bridging the “green-yellow gap” in LED efficiency. Finally, I will discuss how such advances may enable smart lighting concepts, providing a new paradigm for how we generate and use light. 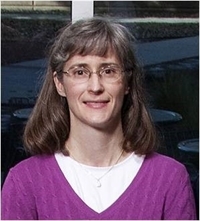 Biography: Dr. Mary Crawford is a Senior Scientist in the Semiconductor Material and Device Sciences Department at Sandia National Laboratories in Albuquerque, NM. She received a B. A. degree in physics from Holy Cross College and Sc. M. and Ph.D. degrees in physics from Brown University. She joined Sandia National Laboratories in 1993 where she contributed to R&D of optoelectronic devices including visible vertical-cavity surface-emitting lasers and GaN/AlGaN-based UV LEDs. In 2000, Dr. Crawford embarked on an entrepreneurial leave to serve as a Senior Scientist and Director of R&D at Uniroyal Optoelectronics in Tampa, FL, a start-up company developing visible and near-UV LEDs. She returned to Sandia in 2002. Her recent interests include development of AlGaInN-based deep UV LEDs and laser diodes and spectroscopic studies of radiative and nonradiative processes in InGaN materials. She has co-authored more than 100 publications and is the recipient of 5 patents.